Instructional design differs from lesson planning. I have been lesson planning for years. I think about what I want my kids to learn and what content they need to know and, in the past, I have designed for how I would deliver the ideas and content. However, I now have a better understanding of how important it is to plan for how my students will build knowledge and how to guide them through the exploratory phases of learning that lead to deeper connections and a better chance of retention and ability to apply new knowledge to new situations. All of the approaches I've been studying point to the importance of letting students explore content before assessment and of addressing misunderstandings before we move on and expect them to be able to apply what they have learned. Giving them a point of reference is also important. Washburn does a great job explaining how the simple use of stories can help provide a metaphor that can guide a student through the learning process. Being able to say, "remember when...." and compare new situations to previous experiences is powerful. I am hoping to use this experience stage of learning when I teach my 6th graders Scratch. Before they start coding, they will practice acting out lines of Scratch code kind of like a play. That way, they have a visual and sensory frame of reference for the code they will be writing. I am looking forward to mapping out units this summer. I can't wait to put myself in my students' shoes and plan for how they will organize and unpack content and synthesize skills to experience learning that lasts. This year I have taught fewer units, but feel that my kids have learned more than in many of my previous years due to my focus on instructional design for learning rather than just lesson planning to deliver content. By taking the time to let my students explore the tools we use and by taking the time to scaffold them toward both proficiency with tools and with content and concepts I have found that my students have surpassed all of my previous students in retention and ability to apply the concepts and skills I want them to know. 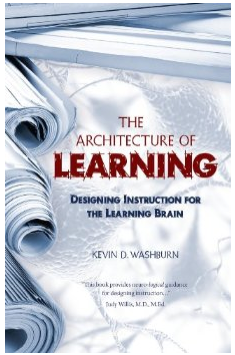 ...teachers combine four elements to design instruction: an understanding of students, a knowledge of learning, an awareness of subject matter types, and a sequence of classroom activities that mirrors how the brain processes new data. The scary part? I have never seen unit development or curriculum mapping that puts this in action in any school I have ever worked in. The great part? I attended a few schools that did. And man what a difference it made in my life! If you are looking for practical advice on how to design instruction, I highly recommend this book!